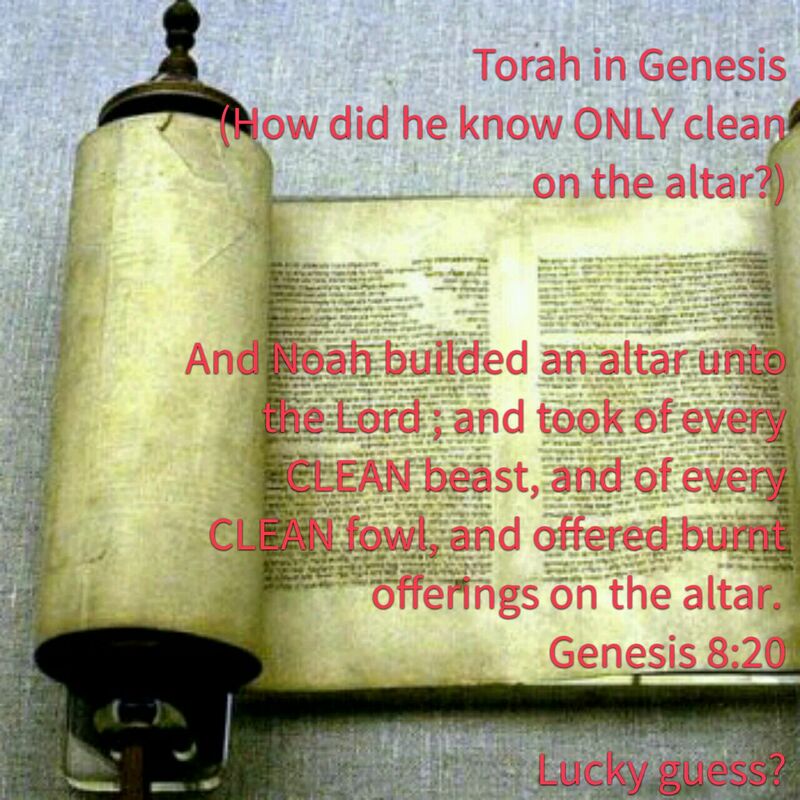 Was Noah just lucky understanding not only the difference between the clean and unclean, but also the sanctity of the altar, OR did he have the Torah, handed down from the Garden of Eden? Evidence throughout Genesis is that they had the FULL Torah, God’s Instructions in righteousness, from the beginning. Therefore, the Torah, is for all mankind. More evidences to come in this series. This entry was posted in A Thought..., Visual Scripture and tagged altar, clean unclean, covenant, Genesis, Noah, righteousness, Yeshua. Bookmark the permalink.